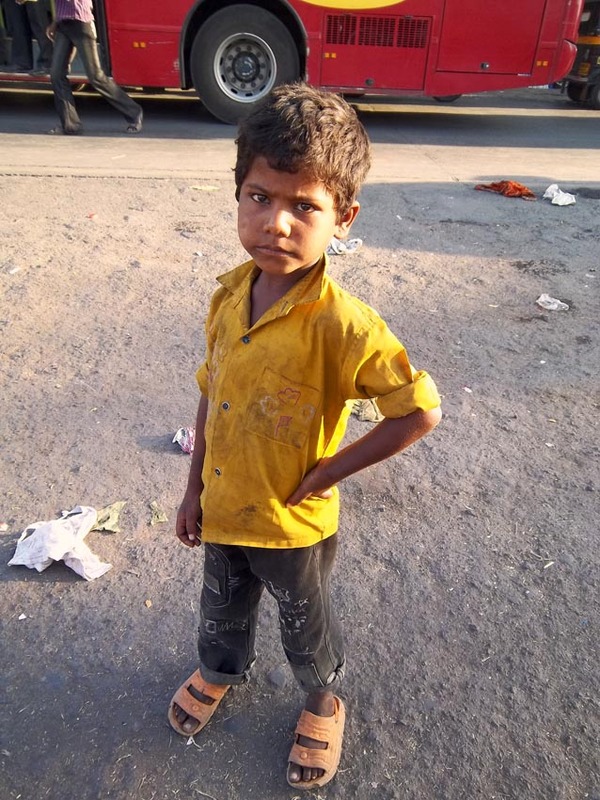 Images of poor children from the streets of Mumbai. This young boy at a traffic light was high-spirited and cheerful despite not having any clothes to wear. 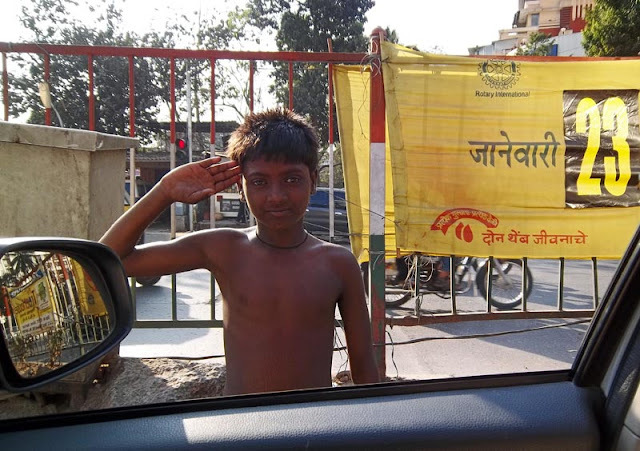 When he saw my camera he saluted, a kind of mock salute I guess. I was photographing the traffic when this young boy came and stood in front of me, kind of defying me to click his picture. And I did. He posed.